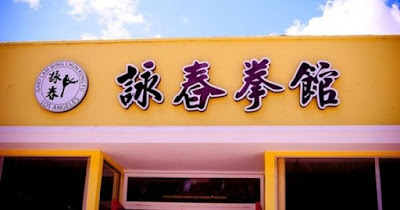 The school signage above the front door. The picture was taken at the side of the school building. Wooden dummies near the front door. Bart Cham Do/butterfly knives and kid’s wooden dummy. 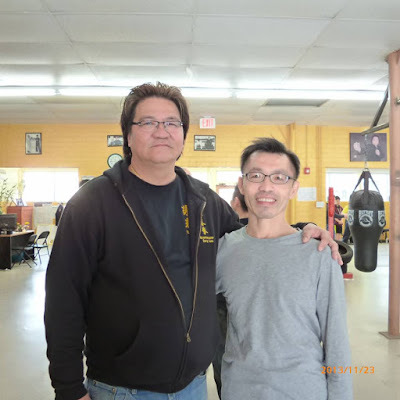 Sifu and I in 2013. Sifu Gary Lam emigrated from Hong Kong to the US to teach Wing Chun. For about 15 years, he taught Wing Chun out of his backyard. (With an exception of an interim period of teaching at a local park while looking for a right place for the school.) 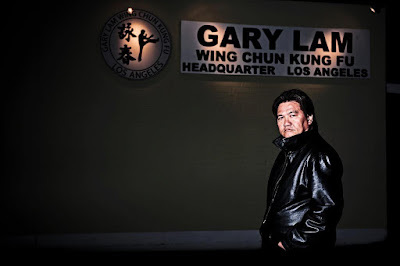 Finally, last year (2011) he opened up a new school in Alhambra , California . 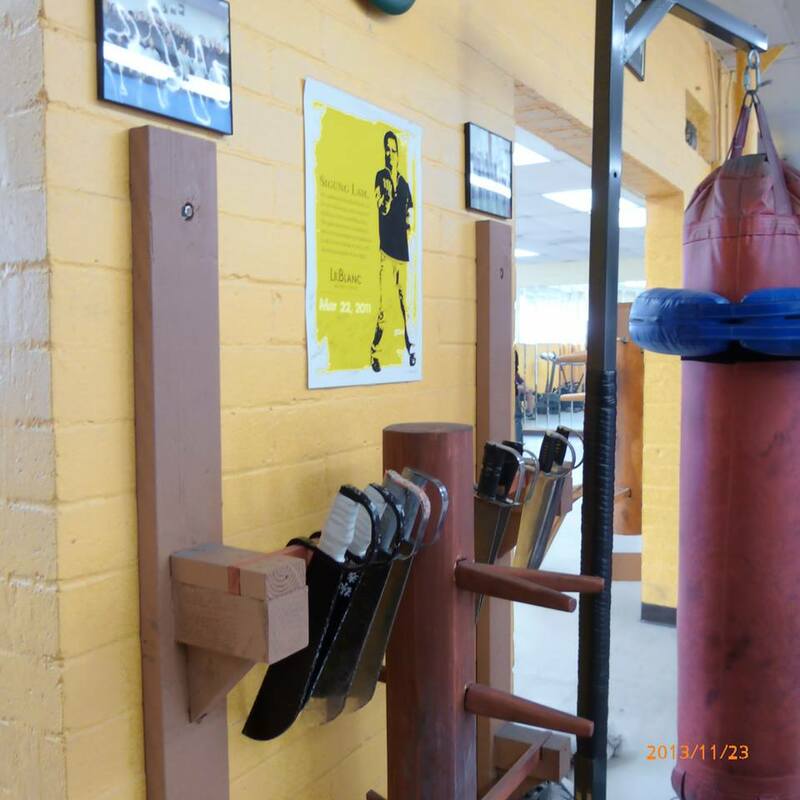 The school is really nice - spacious, clean, well-lighted and with various training equipment. 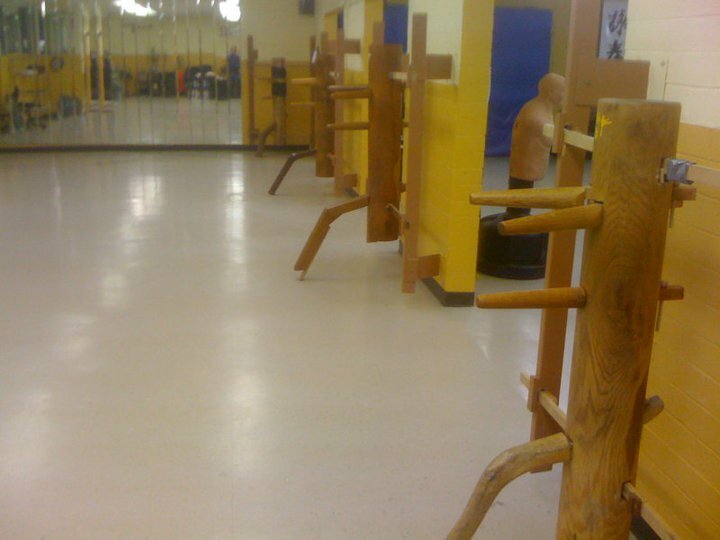 I am very happy that my Kung Fu brothers now have such a nice place to train Wing Chun. However, it’s kind of sad that the days of training in his backyard are gone forever. But, the end of an era is the beginning of a new era. 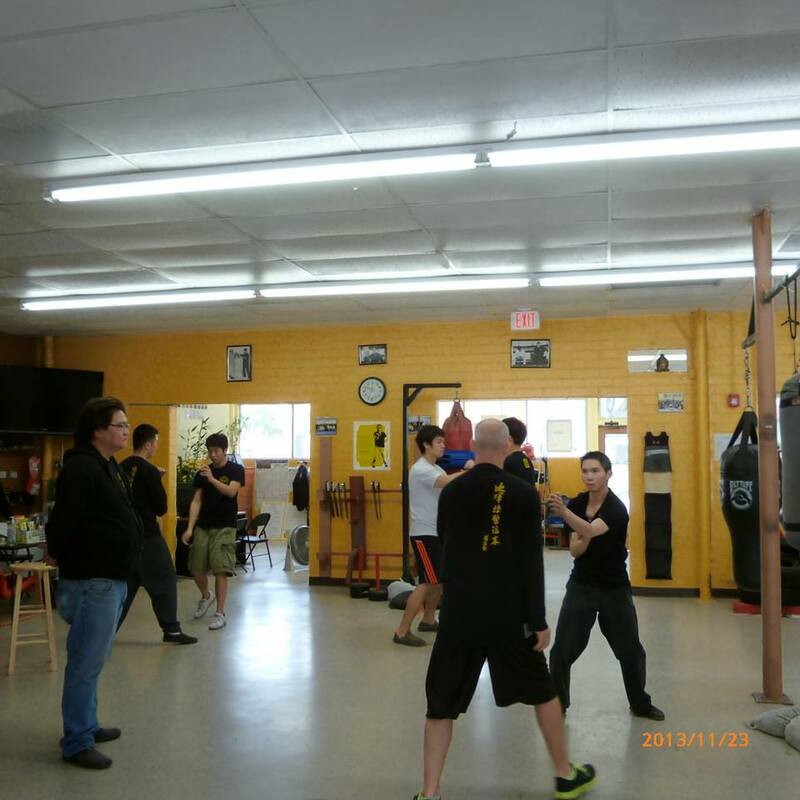 I wish Sifu’s new school continue to flourish and hope more people come to practice Wong Shun Leung/Gary Lam system. This article was originally written in 2012. Now, I have added pictures that I took when I visited Sifu in 2013. I have also added three new videos. These videos show Sifu teaching at different locations which give you a sense of how the school has evolved over the years. Again, I sincerely wish Sifu’s school continues to prosper for many years to come.